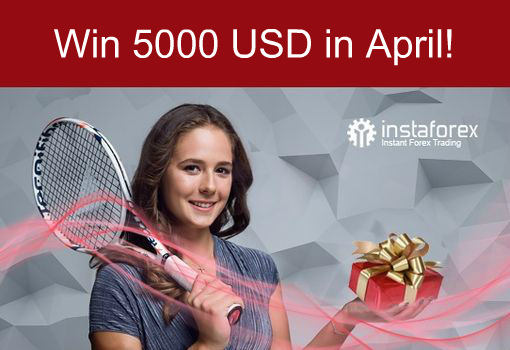 The time has come to announce winners of the recent steps of the InstaForex contests. Today we are ready to name victors of the following trading competitions: One Million Option, InstaForex Sniper, Lucky Trader, and FX-1 Rally. InstaForex warmly congratulates the winners and wishes luck to other contestants in future contest stages. Amr ahmed abdelrahman demonstrated the best racing and trading skills in the latest stage of the FX-1 Rally contest. We congratulate the winner on the excellent performance and wish luck in the next steps of the contest. If you want to take part in the thrilling race too, welcome to the start of FX-1 Rally! You can register for the nearest rally that will begin at 00:00 on August 4, 2017 and come to an end at 23:59 on August 4, 2017. One Million Option is a much-loved InstaForex contest gathering lots of participants who fiercely compete for the title of the best options trader. In the recent step, Abdul Wahab showed the best result. The next stage of the One Million Option InstaForex contest will be held very soon – from August 7, 2017 to August 11, 2017. Confidence, prudence, and orientation towards success are the keys to winning the Lucky Trader marathon. If you manage to trade smoothly for two weeks, you will be able to win the Lucky Trader contest, just like Nikolay Ivanovich Tray did it. The next stage of the Lucky Trader contest will kick off on August 7, 2017 and run until August 18, 2017. The fastest and most accurate traders take part in the InstaForex Sniper contest. According to the results of the recent step, Ghenis Alikovich Zalimbaev was the best. The next contest stage will start on August 7, 2017 and end on August 11, 2017.